Waiting for the bus to arrive? Starting to think you could get there quicker if you just walked? Now you can track your bus in real time, and all you need is a smartphone. Enter TransitApp, an iOS and Android app that provides live tracking of public transportation in an easy-to-read format. 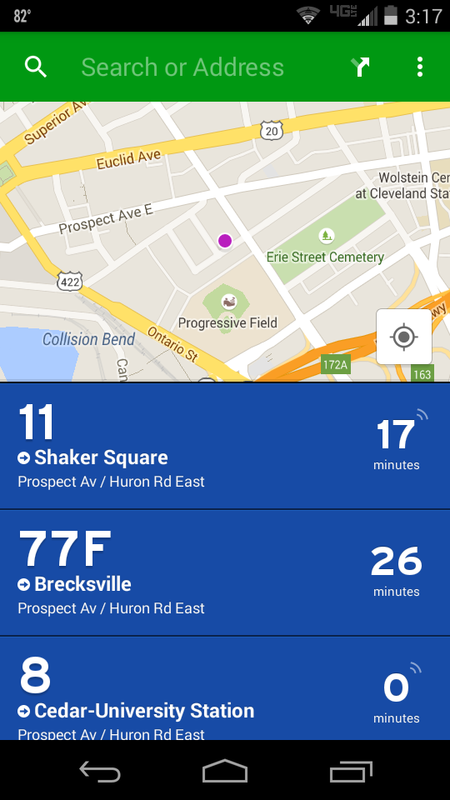 The app tracks public transit in 99 metro areas, and just added support for Cleveland. 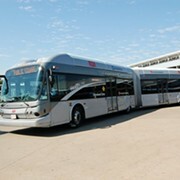 Based on the user's current location, TransitApp can show nearby bus lines and the estimated position of each individual bus. There's also a trip planner which can suggest several possible routes to reach a destination, along with estimated departure and arrival times. It's also completely free to download. Cleveland's real-time integration with the app isn't quite complete yet, but it's expected to improve in the coming weeks. The data is being scraped from the public website and converted to a more accessible format. The app will be more useful as data becomes more open, but most bus lines already have live updates, so using public transportation should be much less of a hassle. By partnering with the public transit agencies, TransitApp is able to provide reliable information. It should be much easier to navigate, especially from mobile, than the current RTA website. The app's creators are planning to add support for the city's bikesharing service, which should be ready in time for the Republican National Convention. The app is made with help from Code for America, a non-profit group ironically made up of Canadian hackers. They partner with local government agencies to provide open-data records in an easy-to-use mobile format. 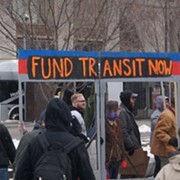 TransitApp is just one of the projects they help get data for.